OTTAWA -- RCMP officers have been dispatched to Burkina Faso to help local authorities after more than two dozen people -- including six Canadians -- were killed in a terrorist attack. A government official, speaking on condition of anonymity, says the Mounties will assist officials with victim identification and paperwork so the bodies of Canadian victims can be returned home. 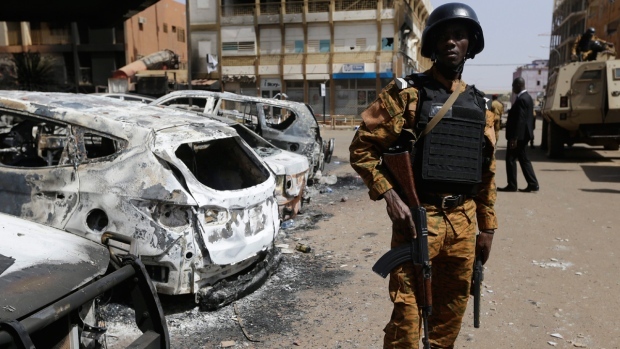 Six Quebecers on a humanitarian mission were killed in Burkina Faso's capital of Ouagadougou last week during an attack carried out by al Qaeda. Four of the dead were from the same family: Yves Carrier, his wife Gladys Chamberland, their adult son Charlelie Carrier and Yves' adult daughter, Maude Carrier. Adam Barratt, a spokesman for Foreign Affairs Minister Stephane Dion, says the department's priority is the families of the victims. He says departmental resources in Ottawa and overseas will be used to help repatriate the victims as fast as possible. "We are working with the local authorities in Burkina Faso to determine and confirm what the families want."